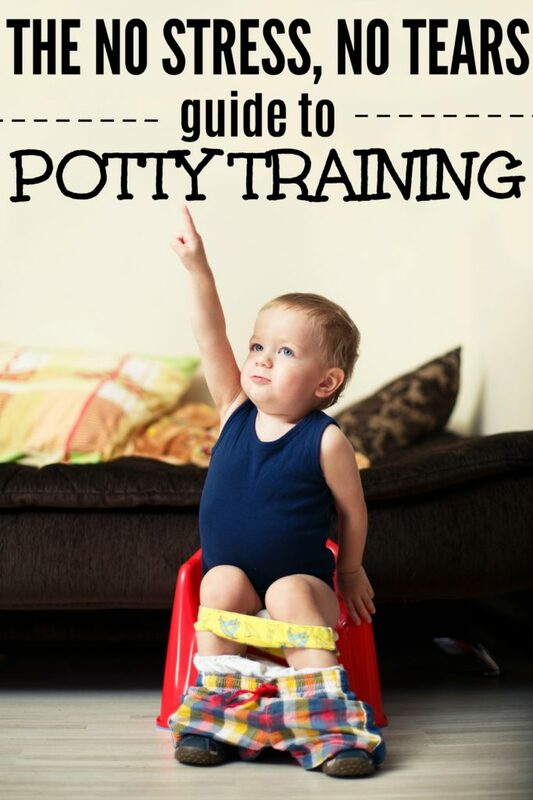 Thinking about starting potty training? Read this No Stress, No Tears Guide to Potty Training before you get started and it won’t be the dreaded experience you’re told potty training is! I was dreading this day. Dreading it. Like, I seriously thought about keeping Ryan in diapers until went and potty trained himself, even if it meant Kindergarten in diapers. I was totally okay with it. When I was pregnant with Owen I had quite a few people do the whole hint, hint, nudge, nudge, “do you really want to be changing two diapers all day long once this one comes along” thing. Uh, yeah. I totally did. You know what sounds worse than changing two diapers all day? Changing one diaper, nursing a newborn, chasing around a not quite 2-year-old, forcing him to sit on the potty, and constantly cleaning up accidents. This isn’t even taking into consideration that if Ryan had been out of diapers during the first year of Owen’s life, I sincerely don’t think I would have ever left the house by myself. Have you ever tried to use a public bathroom with a toddler and a baby on your hip? It’s no. effing. joke. My main issue with potty training Ryan was that since the day he was born, he did not give a single care about a dirty diaper. The kid could have a bulging diaper down to his knees and still beg me NOT to change his diaper. How on earth was I supposed to potty train a kid who was totally fine dancing with a poo in his pants? Everyone told me, train him when he’s ready! You’ll know when he’s ready. I call bull. Yes, I’m sure there are kids out there that wake up one day and say, man! That potty business sounds cool, let’s go for it! But my kid was never going to be one and I know there are other kids out there like Ry. If there’s one thing you should know about my method of parenting, it’s that I try and take the path of least resistance. When Ryan was born, my dad gave me two pieces of parenting advice: Don’t give out parenting advice and learn to pick your battles. 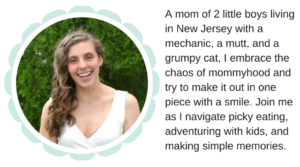 Obviously, I ignored one of those gems – I write a freaking parenting blog – but I live by the second one. So I went into potty training with that mentality. And it worked! There were no tears, no breakdowns (from either of us), and it wasn’t crazy stressful. And today I’m here sharing how we did it, in hopes that I can take some of the ‘fear’ out of potty training for at least a few families. This is not a miracle potty training method. It will take longer than a weekend. It won’t be a 3-day thing. You’ll have setbacks. You might question if it will ever happen. Believe in yourself and your kiddo. The main reason I avoided trying one of those super strict, ‘potty trained in a weekend’ type things was that I didn’t want that stress. Now, it’s important to also note that I’m a stay-at-home mom and the boys stay with me at home all day. I don’t have to go to work, there is no preschool they needed to go to come Monday, so that really helped – I’m not sure how an interruption like that would have helped/hurt. Flexibility in our schedule definitely worked to my benefit. Since Ry had shown approximately zero interest in going to the toilet and has a tendency to be scared of random things (the kid loves loud, diesel trucks but is petrified of the vacuum. Go figure.) I didn’t want to jump right in and freak him out from the get-go. We bought this little potty and used it for the first week or so to get him used to the idea of going on the potty. We then worked up the big boy potty in a super casual manner. grainy cell pics for the win? Not my proudest moment parenting, but after sitting in the bathroom for 2 hours to no avail and trying to convince Ryan to sit and Owen to not play in the toilet, I realized that until Ryan understood the concept, the bathroom was a bad choice. I’m home alone with the boys most of the time and I obviously can’t just leave Owen to roam the house on his own while Ryan takes the world’s longest potty break. 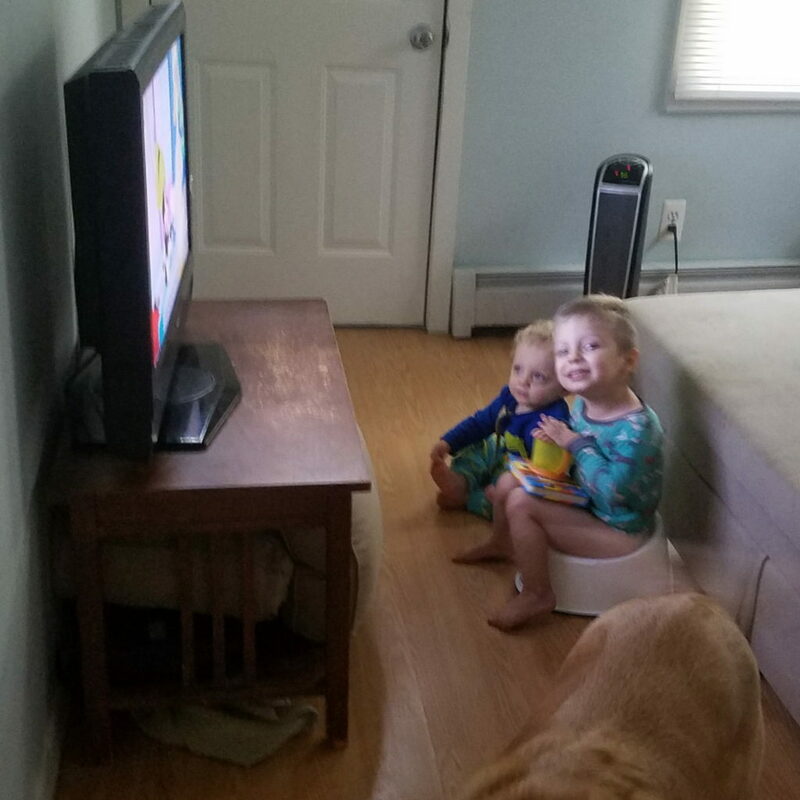 So we plopped the potty in front of the TV. Oh yeah, we went there. But I think the combination of something familiar (his favorite shows) and just relaxing made it easier for him to go the first few times. While sitting on his little potty next to me in the bathroom for over 2 hours produced nothing, just 15 minutes on the potty in the living room got us out first pee. 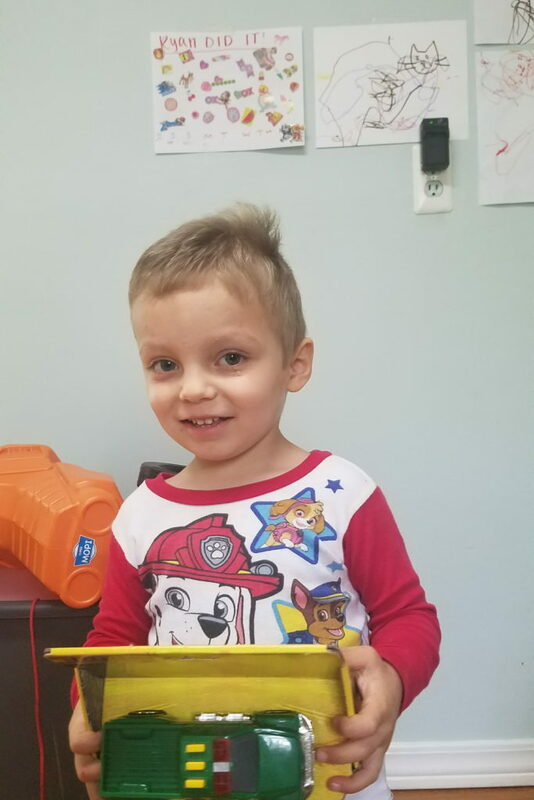 On the same page, for your first few pees in the potty (either one, really – little potty or big boy) plop your little on it as soon as they wake up. He’s more likely to go quickly and you can make a big deal of it (see below). I think this really helped Ryan understand why he was on the potty – since he wasn’t sitting there for a while, he started to understand the connection. Okay, so you got your first pee – now what? Make a HUGE deal about it. I’m talking, dance party, clapping, “YOU DID IT!”s galore. You want your kiddo to know that that was the desired end game, no questions asked. Bonus, after a few times Ryan would pee and stand up and scream, “RY DID IT!” so there was no confusing if he’s gone yet. If you’re going to give a prize, try to have it on hand already – that way you’re not out buying a toy with your kid not even remembering how they earned it. Just like when you’re introducing your kiddo to solids and you teach them to tell you when they would like more food, teach your little to let you know if they have ‘more’. The first week or so, Ryan would go, I’d congratulate him, clean it up, get him dressed, only to have him go again in his undies in 30 seconds. Eventually, I started asking Ryan if he was done or if he had more and he would let me know either way. It’s helped a lot with miscommunication and deciding if he’s sitting on the potty because he’s going or if he’s just messing around. There are some gorgeous sticker charts out that for just about everything. There are awesome tutorials for how to make super cool potty training sticker charts. Truth is, I’m lazy and don’t have the time. Once Ryan got the idea of the potty and we went full force on the no diaper thing, I started working with him to ‘keep track’ of his successes with a ‘sticker chart’. I just grabbed a piece of computer paper and wrote “Ryan Did It” on top and we put on stickers I got from the Dollar Spot. Big stickers were for poo and little ones for pee. I also gave him mini marshmallows for pee and a big one for poo. I quickly learned that, for everyday use and potty training, disposable potty training pants were useless if you had a kid not sensitive to a wet diaper. They’re simply too absorbent, making the only difference between them and a diaper the fact that the potty training undies are a pain to get on and off. I do use them at night and when we go out, but after your kiddo gets the hang of going on the potty and understands what’s expected, buy a few packs of cool undies and just use those. I bought 15 pairs (3 packs) of Paw Patrol, Blaze, and Mickey and the Roadster Racers undies and made a big deal about using them. For the most part, I just let him run around in just undies and a shirt when it’s warm. If your kid is like mine, even a wet pair of undies might not bother them. I’m getting nitty gritty here, friends, but Ry pooped in his undies and kept going on with his day. Yup. Per Alex’s suggestion, I put a pair of pants on top of his undies, so that when he had an accident he’d feel the wetness more and it worked wonderfully. Since it absorbed more, he was a bit distraught by his wet pants. Or try nothing at all. Once Ryan got the concept, I found putting no pants at all (undies or pants) worked really great in reducing the amount of times I had to remind him. Since there was nothing between him and the potty, he was more likely to just sit on his little potty when nature called. I had an alarm on my phone to go off every 30 minutes while we were home. It was just a reminder to ask Ryan if he had to go – it’s easy to forget that you’re potty training while you’re going about your day. I think this really helped Ryan understand what his body was trying to tell him – I would get him away from whatever he was doing for just a minute and ask him if he felt like he needed to go potty. Most of the time he said no, but something he would realize that yes, he had to go. Any time he had an accident soon after I asked we would talk about why it happened. Move to a big potty. Eventually, you’ll need to start on the ‘real’ potty. Pick up a step stool and a potty topper so that little booties don’t fall in and welcome your kiddo onto the big potty. Make a big deal about it – how exciting is it that he can use the same potty as mommy and daddy?! – but if he’s not into it or obviously apprehensive, let it be until he is. No stress, people. Give options for a while. Reduce stress by giving your kiddo the option of the little potty rot eh big potty for a while. Eventually, he’ll start choosing the big potty more and more until it’s okay to get rid of the little one, but for a solid week Ryan still occasionally went on the little one and a few times asked where it was when I tried to hide it away. I wasn’t going to push him one way or another. The obvious truth is, your kid isn;t going to go on a little white potty forever. 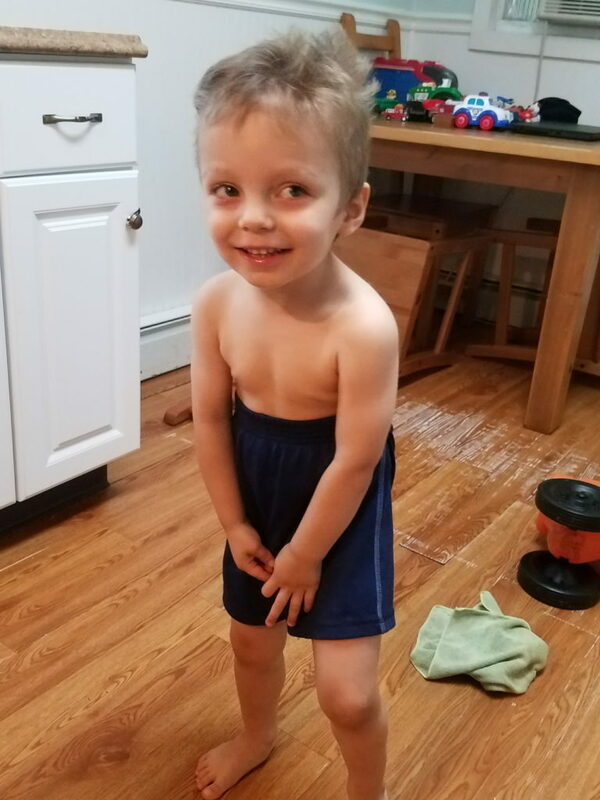 In my quest to potty train Ryan I saw two sides of the story – potty training solely in training pants and potty training and refusing to use them. I kind of see it both ways. No, they aren’t much different than a diaper – I don’t think most people will argue that. But the reality is, for the first few months (at least, I’m assuming) they’re a bit of a Godsend. Leaving your house while potty training is nerve wracking – If your kid tells you they need to go bathroom on the middle of the Parkway with a cop behind you, there’s not much you can do. 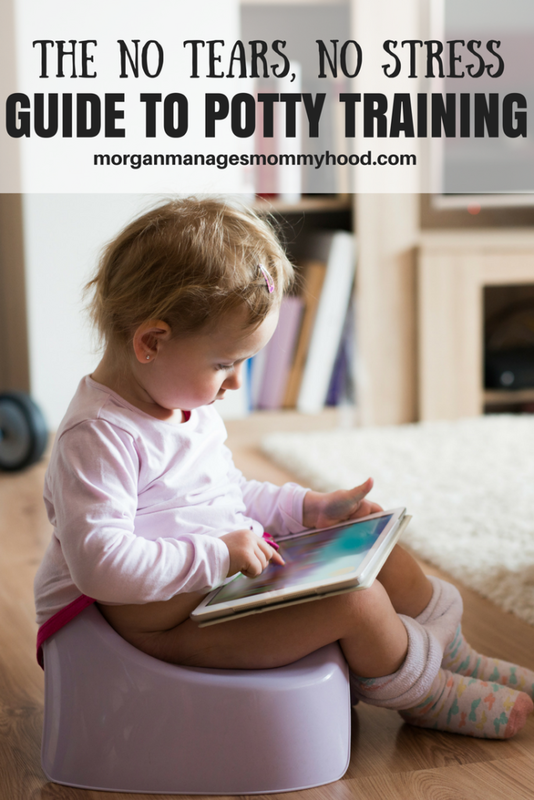 Littles don’t know how to ‘hold’ it right away – it’s something they need to learn. 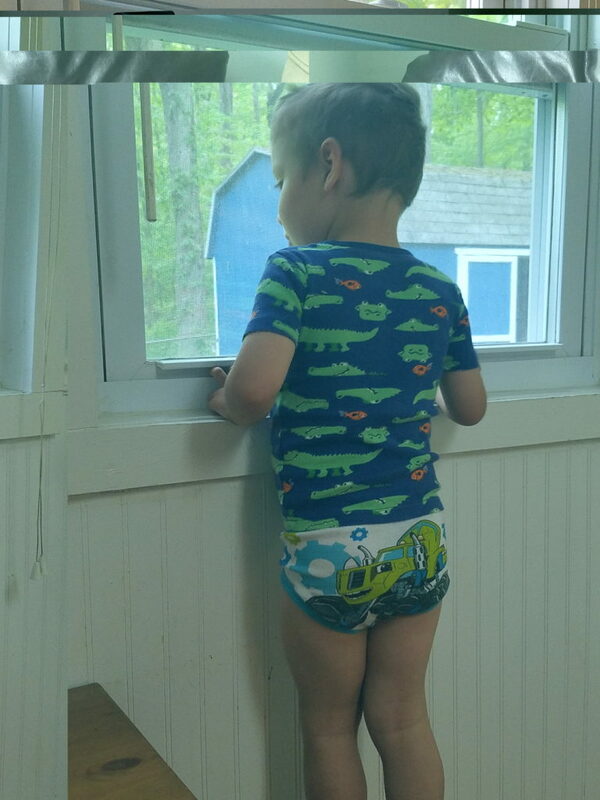 Potty training pants are perfect for this situation – if they make it, great! If not, you’re not forced to disassemble the car seat to clean the pee smell out. Another thing is, if your kiddo falls asleep in the car seat, you’re safe there as well. Make it known to your little that accidents are no big. Yes, they’re frustrating. No, no one wants to clean pee (or worse) off the kitchen floor multiple times a day. Yes, you may spend every night researching how to get pee smell off of things and your laundry pile may seem to have a life of its own, but it’s all part of it. Don’t get angry – use each accident as a learning experience. Should you have asked earlier? Should you have insisted that he sit on the potty? Ask him if he knew it was coming – did he feel like he had to go and ignored it? So now, here is where I contradict myself. No, I don’t think every kid will just wake up and be ready one day, but I do think that there are going to be kids who simple aren’t ready. Use your gut – if you’re a week or two in and your kid isn’t showing any progress, think about packing it up and trying again later. I think one of the biggest reasons potty training was so stress-free for us was because I didn’t have any preconceived notions. I knew it would be gross. I knew it would probably take a while. I knew I didn’t want to stress Ryan out with it. But I didn’t have an end game or date in mind (other than I wanted it done by fall for preschool, but even that gave us a little less than 6 months.) If you have the luxury of time and can potty train without a deadline, I can’t recommend this method more. Great tips. It will be useful for parents under stress regarding potty training. Have a wonderful day. Omg I needed this!! We are in the throes of potty training and honestly after day 1 I felt like giving up. But reading this confirmed my belief that there is no “one size fits all” solution to potty training. Thank you for this! After potty training my first child I thought I’d rather get my wisdom teeth pulled than go through that again, but with each child comes new opportunities and experiences. It does get easier the more kids you train, but remembering that each kid is different and to just love them is the most important. Your tips and experience was great to read. Thank you for sharing. These are great tips! I hate reading about the magic 3 day methods. I have 3 boys and two of them are 7 and 5 so are obviously potty trained. They both showed tons of interest at 2 years old, then regressed for 4-6 months, then right around their 3rd birthdays potty trained pretty easily. I think our 3rd boy, who turned two in February, is being the same exact way. Definitely saving this! We are just starting to get going on it but my daughter isn’t super interested yet, so I am not pushing her to start. Been there and done that x 5. Great advice here! Great, great tips!!!! We’ve got one last kiddo in diapers and will be facing this all too soon again. Go Ry! This is such great advice. I must admit, I’ve potty trained three kids so far and I don’t feel like it gets any easier! I am the WORST at potty training. Actually, I take it back, it does get easier because i realized after my first kid that they would eventually get it in their own time and once it clicks for them it clicks. So I try to be more calm now, although it doesn’t usually work, lol. I love how detailed this is! 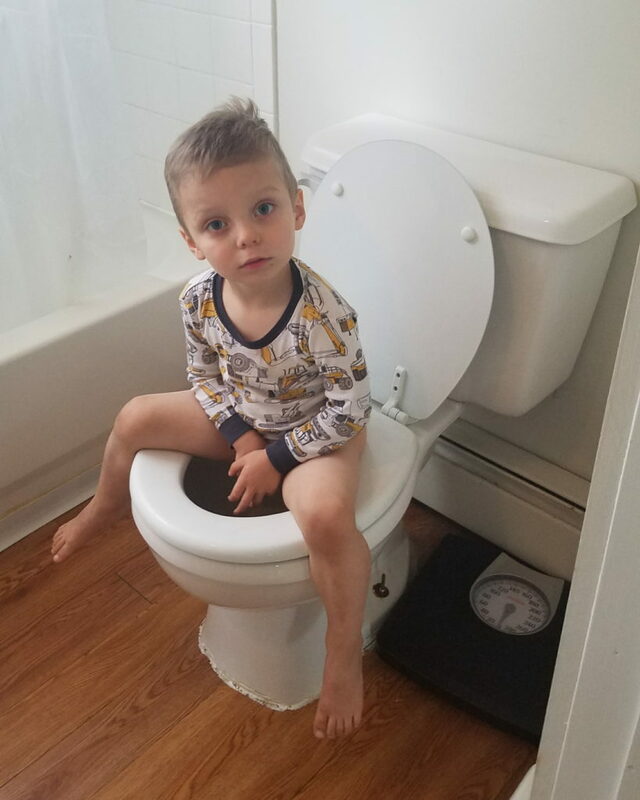 My oldest, a boy, was SO easy to potty train. Now my daughter who is 2.5 shows no interest at all!